Having the right material alone isn't enough. One-hundred years of hands-on experience alone doesn’t do it. Neither does the most advanced equipment needed for the largest and most complicated jobs. Not even a meticulous attention to detail that oversees every aspect of a project is enough. It's all of the above. That's a lot to ask of any supplier. But it's what Plastic+Paper brings to every project every day. Because we know how much the results matter to you. They matter just as much to us. Who would’ve imagined a few short years ago that we would be preparing 60” x 120” sheets of corrugated plastic for a client’s small customized run. The economics of scale have changed dramatically. Those kinds of short runs and large sizes would never have been practical before the advent of an ever-increasing number of alternative formats for printing and display fabrication. This expanded range of choice places an onus on your substrate supplier to provide the advice and the inventory needed to capitalize on it. Having access to a seemingly infinite variety of substrates is only one side of the equation. Understanding the properties of each substrate, its durability, translucence, brightness and cost is equally important. That’s where Plastic+Paper really earns its stripes. 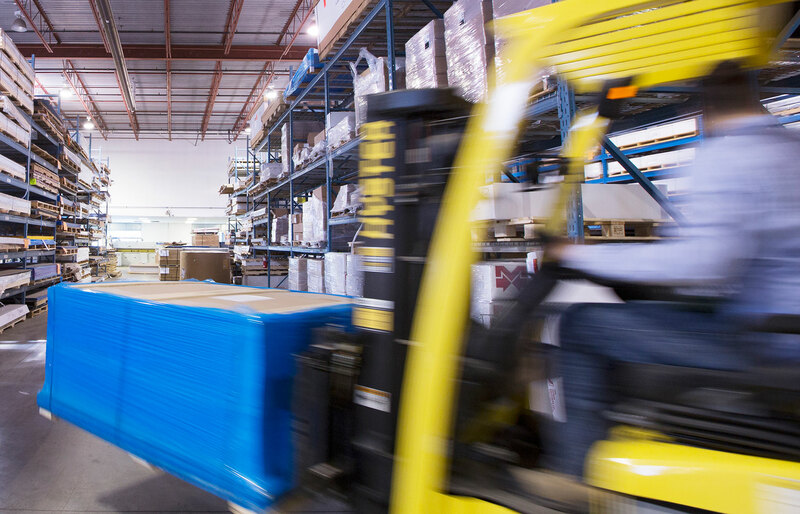 And that’s why our clients keep coming back – because they see our company as uniquely capable of combining a vast product range with the expertise and equipment required. That means you can find the right medium for your project – and that it reaches your door in the shapes and sizes you need to fulfill your orders. Our world never stands still – Print, POP and other graphic media keep changing, but at Plastic+Paper our values don’t. The Biggest, Fastest and Most Versatile Sheeter in Canada. Introducing Plastic + Paper's MEGA Sheeter. The status quo can’t respond to the technical demands of today’s large-format litho, digital and screen printing – where quick turnaround times are now the norm, not the exception. We used our 100 years of industry experience to oversee the design and development of a customized next-generation sheeter that can do what’s never been done before. Like handling your large-format jobs much faster, achieving a speed to market other suppliers simply can’t equal, combined with unmatched sizing flexibility. Better yet, you can now use the same substrate across all print platforms, reducing the scope of your inventories and delivering better consistency of colour reproduction. This new breed of sheeter technology represents Canada’s largest investment in new equipment in decades. We did it because we know that standing still is not an option. So what can one sheeter do for you? 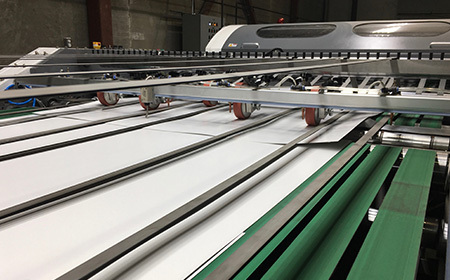 It can run large-format lengths of more than 100 inches at significantly higher speeds than any other sheeter in North America. It also efficiently serves the standard 28”x40” litho market and the emerging role of short runs with custom sizes. 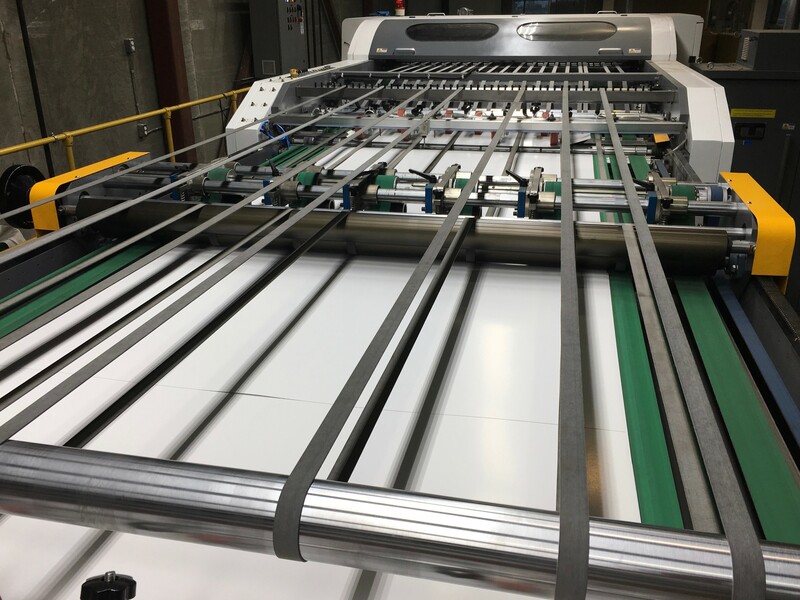 It’s the one sheeter custom engineered for your customized paper and board needs. And the only place you’ll find this sheeter and all its built-in advantages is at Plastic+Paper. Watch Acclaimed PPN Reporter Nigel Cornelius Uncover The Truth About Plastic+Paper’s New Sheeter. How Canada’s largest substrate supplier measures up. 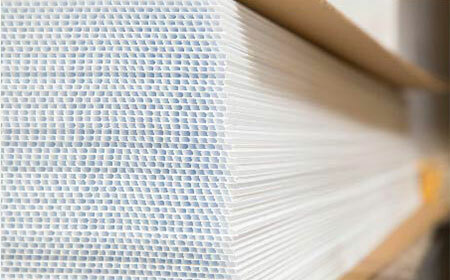 Stocks more than 30 distinct paper, paperboard, plastic and magnetic substrates. The largest saws, guillotines and sheeters for the largest jobs. All under 1 roof. 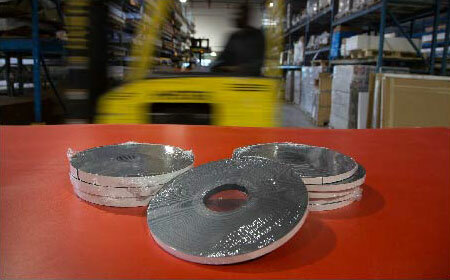 We warehouse, cut, prep, pack and deliver the widest selection of substrates available from any supplier in Canada.